Sears Handyman technicians are ready to help when you need assistance with bathtub repair and refinishing services. Our technicians are experienced in a range of home improvement and repair projects. Polite, efficient, and resourceful in their work, Sears Handyman technicians work on your schedule to deliver great results. 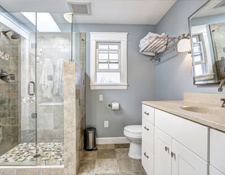 Bathroom remodeling, though, can be an intensive project for many homeowners, especially depending on the extent of the remodeling job. It could be that you’d like your tile replaced, a new shower installed, a new sink and toilet added, shelving installed, or walls painted. 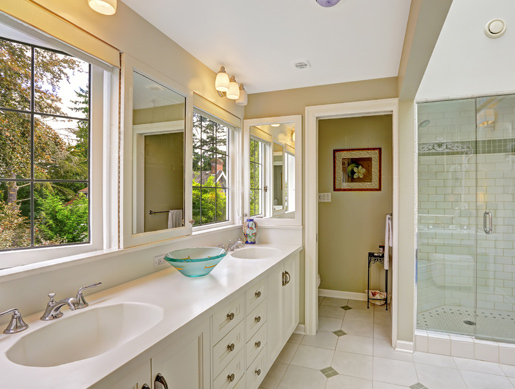 No matter what combination of new and updated bathroom fixtures you’re looking for, a Sears Handyman can help. Just give us a call and describe your desired remodeling project, and we’ll provide an estimate. When things break in the bathroom, simple tasks like bathing and cleaning become more of a hassle than they need be. Whether you have a leaky faucet, broken tiles, or a detached shower door, a Sears Handyman can be on the job and solve your problem on a schedule that’s convenient for you. Don’t see your desired service? No problem. Just give a Sears Handyman representative a call today, describe your issue, and we’ll let you know if we can correct your problem. Odds are, a Sears Handyman technician is up for the job. 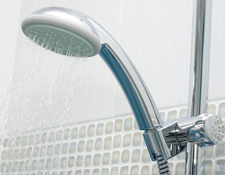 A broken shower valve can cause your shower to leak or dispense water irregularly. This can make your showers less relaxing and more frustrating. 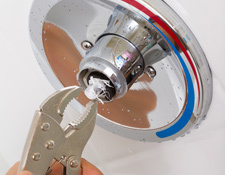 Oftentimes, fixing the valve involves disassembling the shower components to reach the valve to fix it or replace it. Some homeowners find this and other plumbing-related tasks difficult, and prefer to rely on the expertise of a professional handyman. To stop your shower from leaking or inconsistently dispensing water, give Sears Handyman Services a call today. Our technician can remove the necessary parts in order to reach the valve, inspect it to determine the appropriate repair steps, and then either repair or replace the valve.